Protecting heart health is a process that can never begin too soon. Even in our 20s, there are steps that should be taken to help ensure a strong, healthy heart later in life. Of course, the actions needed to promote cardiovascular health are not the same for everyone. Depending on our age, we can be prone to different conditions or risk factors, requiring additional precautions. 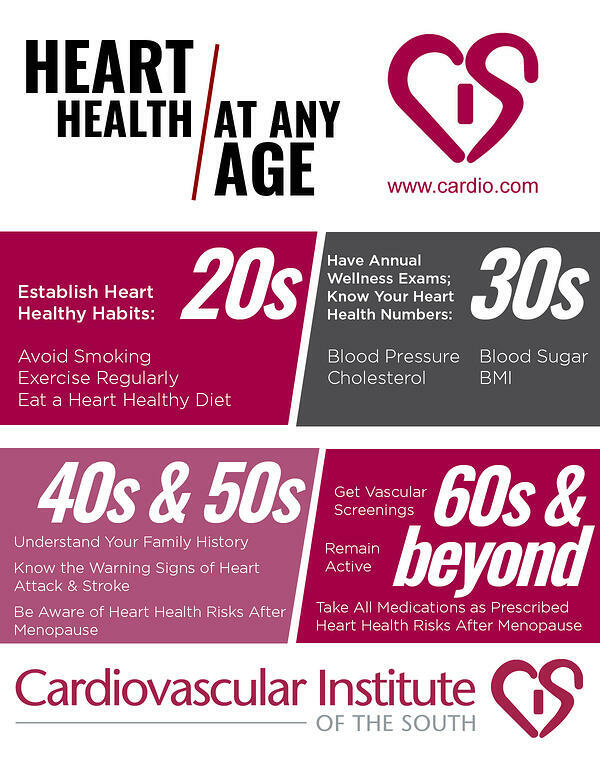 In the infographic below, we explore these differences that come with age and offer some key ways to give heart health a boost, whether you are looking ahead to your 30s or back on your 60s.